This evening, our church will look at the Book of Proverbs in our ongoing study of the Bible. In preparation this morning, I came across this helpful reminder by noted Biblical Theologian, Graeme Goldsworthy, that the gospel of Jesus Christ necessarily includes the conversion of the mind and the application of the gospel to all areas of our thought life (cf. Rom 12:1-2; 2 Cor 10:3-6). The Christian mind-set comes about through the gospel, and so we must come to think of Christian wisdom as a conforming of the mind to the gospel. If, then, we understand the gospel only in its basic terms of Jesus dying for us, we will probably wonder how this can affect the way we think totally. We need to remind ourselves that the simple gospel is also profound. The truth, ‘Jesus died for me,’ actually implies everything that God has revealed in the Bible about his relationship to humanity and to the created order. 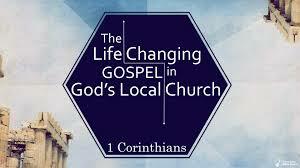 Growing as a Christian really means learning to apply the fact of the gospel to every aspect of our thinking and doing (Graeme Goldsworthy, Gospel and Wisdom in The Goldsworthy Trilogy [Waynesboro, GA: Paternoster, 2000], 341). May we as Christians continue to turn from the pernicious patterns of this world to the mind-renewing truth of the gospel that informs every aspect of creation, wisdom, and life. For in Christ all the treasures of wisdom and knowledge are hidden (Col 2:3).